National Journal of Integrated Research in Medicine. 2013; 4(2): 173-174.
International Journal of Livestock Research. 2017; 7(10): 46-52.
International Journal of Research in Medical Sciences. 2016; 4(2): 633-638. Veterinary World. 2010; 3(10): 471-472.
International Journal of Medical Research & Health Sciences. 2014; 3(3): 684-686.
International Journal of Current Research and Review. 2017; 9(15): 49-54. National Journal of Medical Research. 2015; 5(1): 43-46. 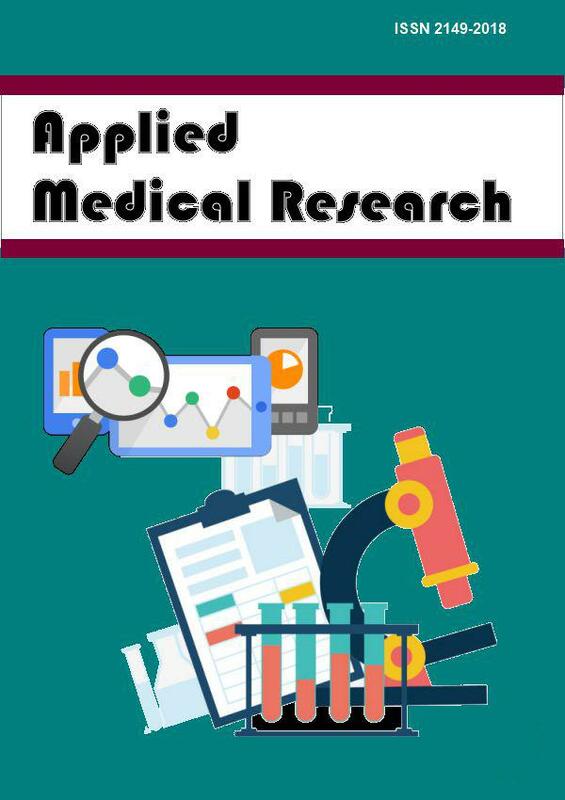 Journal Of Advance Researches In Medical Sciences ( Formerly Journal of Advance Researches in Biological Sciences). 2011; 3(2): 159-164.
International Journal of Medical Research & Health Sciences. 2015; 4(1): 242-244. Journal of Anatomical Sciences. 2015; 23(2): 15-21. Study on the Pattern of Substance Use among Street Children of the Age Group of 10-18 Years in Guwahati City, Assam. International Journal of Health Sciences and Research (IJHSR). 2016; 6(11): 13-16. Veterinary World. 2009; 2(10): 383-384. Perception of Medical Students towards Teaching of Pharmacology through Reinforcing Learning Model. National Journal of Integrated Research in Medicine. 2015; 6(2): 101-104.
International Journal of Current Research and Review. 2016; 8(1): 16-19. National Journal of Community Medicine. 2014; 5(1): 38-41. National Journal of Integrated Research in Medicine. 2014; 5(6): 31-33. National Journal of Medical Research. 2015; 5(2): 16-19.
International Journal of Current Research and Review. 2014; 6(4): 26-30. Journal of Applied Biology & Biotechnology. 2016; 4(6): 059-067.
International Journal of Current Research and Review. 2014; 6(20): 70-73.
International Journal of Clinical and Biomedical Research. 2018; 4(2): 21-26. National Journal of Integrated Research in Medicine. 2014; 5(2): 98-102. National Journal of Integrated Research in Medicine. 2014; 5(6): 56-59. Archives of Clinical and Experimental Surgery (ACES). 2014; 3(4): 213-219. Materia Socio Medica. 2012; 24(4): 268-273. Oculosporidiosis - Masquerading as a Squamous Papilloma -A Report of Two Cases from Non-Endemic Region. International Journal of Health Sciences and Research (IJHSR). 2016; 6(4): 549-552. National Journal of Integrated Research in Medicine. 2012; 3(4): 124-130.
International Journal of Research in Medical Sciences. 2015; 3(8): 2114-2117.
International Journal of Advances in Medicine. 2015; 2(3): 260-263.
International Journal of Research in Medical Sciences. 2016; 4(6): 2478-2480. National Journal of Physiology, Pharmacy and Pharmacology. 2012; 2(2): 93-98.
International Journal of Research in Medical Sciences. 2016; 4(7): 3077-3079.
International Journal of Advances in Medicine. 2015; 2(3): 188-191.
International Journal of Reproduction, Contraception, Obstetrics and Gynecology. 2015; 4(5): 1663-1665.
International Journal of Advances in Medicine. 2016; 3(4): 1002-1010.
International Journal of Reproduction, Contraception, Obstetrics and Gynecology. 2014; 3(2): 394-397.
International Journal of Medical Science and Public Health. 2014; 3(2): 241-242. The Southeast Asian Journal of Case Report and Review. 2013; 2(1): 94-97. National Journal of Community Medicine. 2013; 4(3): 520-524. The Southeast Asian Journal of Case Report and Review. 2013; 2(3): 178-185. National Journal of Community Medicine. 2015; 6(3): 415-422. National Journal of Community Medicine. 2015; 6(1): 1-5.
International Journal of Research in Medical Sciences. 2015; 3(12): 3795-3801.
International Journal of Research in Medical Sciences. 2015; 3(5): 1272-1273.
International Journal of Research in Medical Sciences. 2016; 4(11): 4753-4758.
International Journal of Livestock Research. 2016; 6(1): 1-14. National Journal of Community Medicine. 2016; 7(1): 35-40. National Journal of Integrated Research in Medicine. 2015; 6(6): 31-34.
International Journal of Research in Medical Sciences. 2016; 4(9): 3924-3928.
International Journal of Advances in Medicine. 2016; 3(3): 780-782.
International Journal of Research in Medical Sciences. 2016; 4(11): 4979-4984.
International Journal of Community Medicine and Public Health. 2016; 3(4): 861-864. National Journal of Integrated Research in Medicine. 2012; 3(5): 8-13.
International Journal of Reproduction, Contraception, Obstetrics and Gynecology. 2016; 5(8): 2733-2735.
International Journal of Livestock Research. 2012; 2(2): 42-47.
International Journal of Research in Medical Sciences. 2016; 4(10): 4548-4551. National Journal of Medical Research. 2014; 4(4): 264-269. Archives of Clinical and Experimental Surgery (ACES). 2014; 3(3): 147-152.
International Journal of Current Research and Review. 2016; 8(24): 01-05. Ingested sharp objects in children: is conservative management effective? International Journal of Contemporary Pediatrics. 2016; 3(4): 1316-1319.
International Journal of Current Research and Review. 2016; 8(11): 23-27.